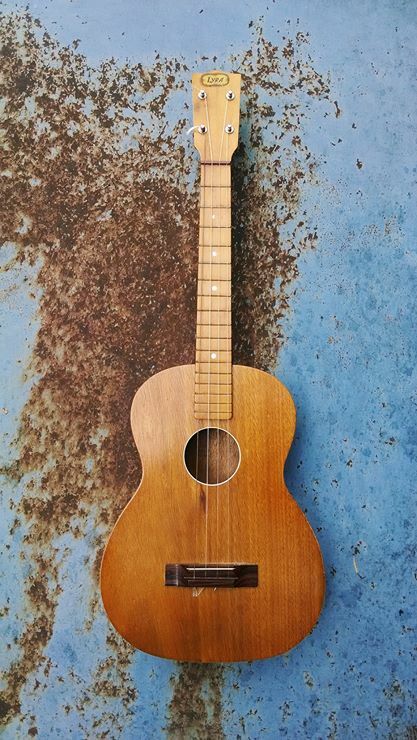 I inherited this West German made baritone ukulele from my mom. It was hers in high school. I don’t remember her ever playing it when I was younger but it is a nice little instrument and I keep it on top of a shelf in the living room so I can pull it down and play a little whenever the mood strikes me.